Posted on July 29, 2013 at 06:07. So what more excuse do you need! Keep those legs pedalling and enjoy the wide variety of benefits that riding your bike has to bring. Posted on July 22, 2013 at 06:59. We are sorry for any inconvenience that this may be causing, and thank you all for your patience. Posted on July 18, 2013 at 22:36. If you haven’t been updated already, the cycle centre entry ramp will be open this Monday the 22nd July – Hooray! However, due to wet weather in the past week there has been a delay in the anti skid surfacing application which will now be applied next week after the ramp dries out as it can not be applied to a damp surface. Therefore use of the ramp will be conditional and controlled, so we ask that all users reduce their speed and ride with caution. If there are any concerns about the ramp, please access the centre via the lifts. The final works on the ramp will be done as soon as possible, and the full ramp should be complete by the end of next week provided good weather conditions. Thank you all for your patience & understanding. Posted on July 16, 2013 at 05:58. 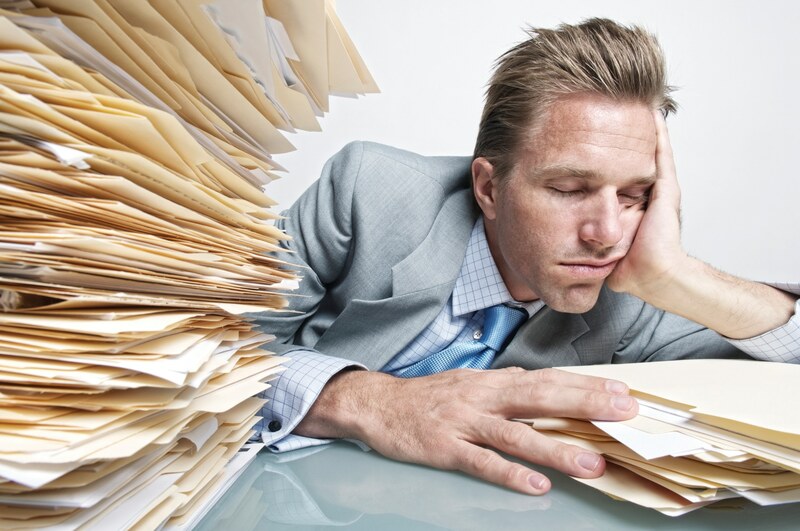 Therefore the importance of a good night’s sleep is crystal clear – ensure those 6-8 hours of Zzz’s are acquired each night and your body will without a doubt thank you for it. Posted on July 12, 2013 at 07:19. A massive human-powered helicopter designed by Canadian duo Cameron Robertson and Todd Reichert has recently won one of the longest-standing challenges in aviation history. “The Atlas” is controlled by having a single pilot pedal a bicycle-like wheel to turn the aircraft’s four enormous, independent rotors. 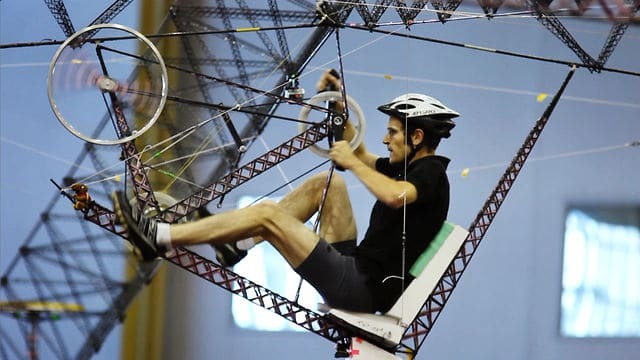 On June 13th, this human-powered helicopter reached a height of nearly 11 feet and stayed in the air for 64.11 seconds. Impressive? I think so! Posted on July 8, 2013 at 21:23. 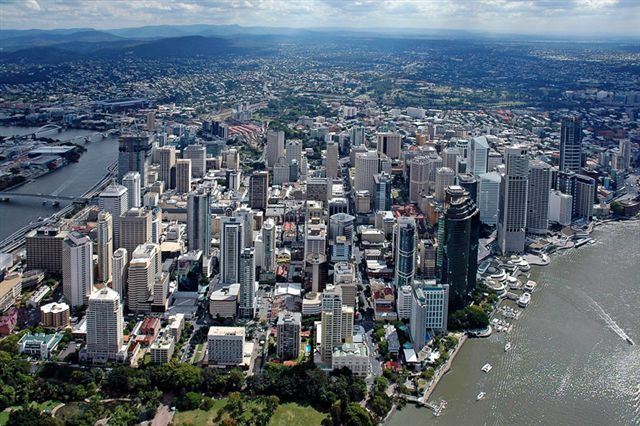 Now Australia’s third largest city, Brisbane is one of our country’s most unique. With such a convenient location, Brisbane is within close proximity to many beautiful beaches, mountain ranges, and much, much more – what better excuse to jump on the bike and explore what Brisbane has to offer. 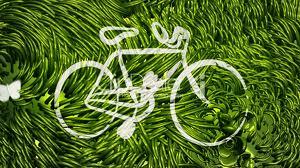 There are many bike paths around Brisbane which can be used for both fun and fitness, with some favourites including the Boondall Wetlands ride, Brisbane City, Kedron Brook, New Farm, Toowong and West End rides. All providing different surroundings and scenery, these rides are a great way to love and appreciate the great outdoors of the capital of the beautiful Sunshine State. Le Tour De France – Let the Race Begin! Posted on July 1, 2013 at 05:21. The line between insanity and genius is said to be a fine one, and in early 20th century France, anyone envisaging a near-2,500-km-long cycle race across the country would have been widely viewed as unhinged. But that didn’t stop Géo Lefèvre, a journalist with L’Auto magazine at the time, from proceeding with his inspired plan. His editor, Henri Desgrange, was bold enough to believe in the idea and to throw his backing behind the Tour de France. And so it was that, on 1 July 1903, sixty pioneers set out on their bicycles from Montgeron. After six mammoth stages (Nantes – Paris, 471 km! ), only 21 “routiers”, led by Maurice Garin, arrived at the end of this first epic. Having provoked a mixture of astonishment and admiration, le Tour soon won over the sporting public and the roadside crowds swelled. The French people took to their hearts this unusual event which placed their towns, their countryside and, since 1910, even their mountains, in the spotlight. Le Tour has always moved with the times. Like France as a whole, it benefited from the introduction of paid holidays from 1936; it has lived through wars, and then savoured the “trente glorieuses” period of economic prosperity while enjoying the heydays of Coppi, Bobet, Anquetil and Poulidor; it has opened itself up to foreign countries with the onset of globalisation, and now finds itself at the forefront of the debate on the malaise afflicting world sport in general. 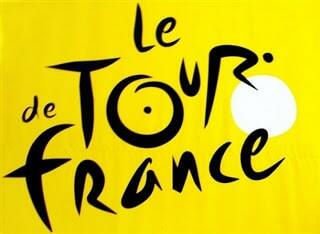 Over a hundred years after its inception, le Tour continues to gain strength from its experience. Receive road safety tips, links to maps and all our latest news straight to your inbox.